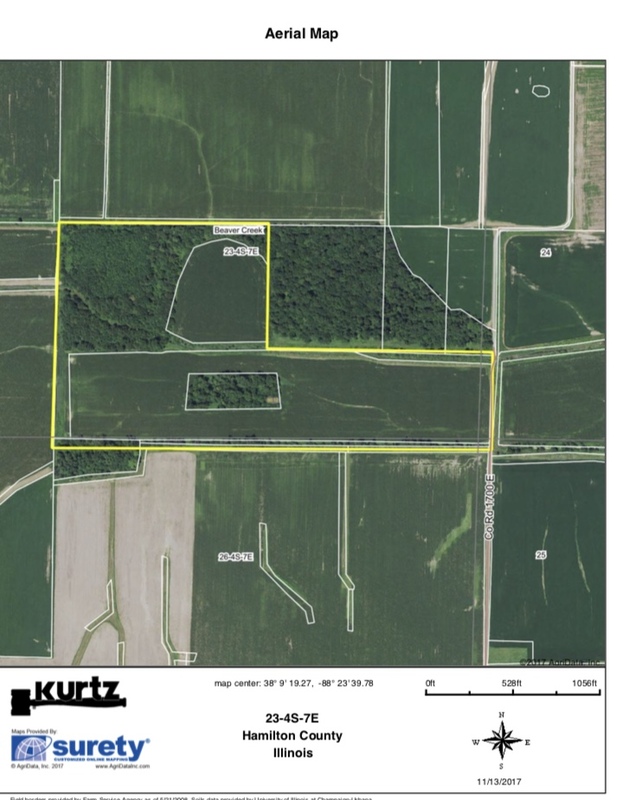 494+/- Acre Farm in Hamilton County, IL SALE PENDING | Kurtz Auction & Realty Co.
Tract 1 Contains 394 deeded acres with approximately 363.5 tillable acres and 27 wooded acres. 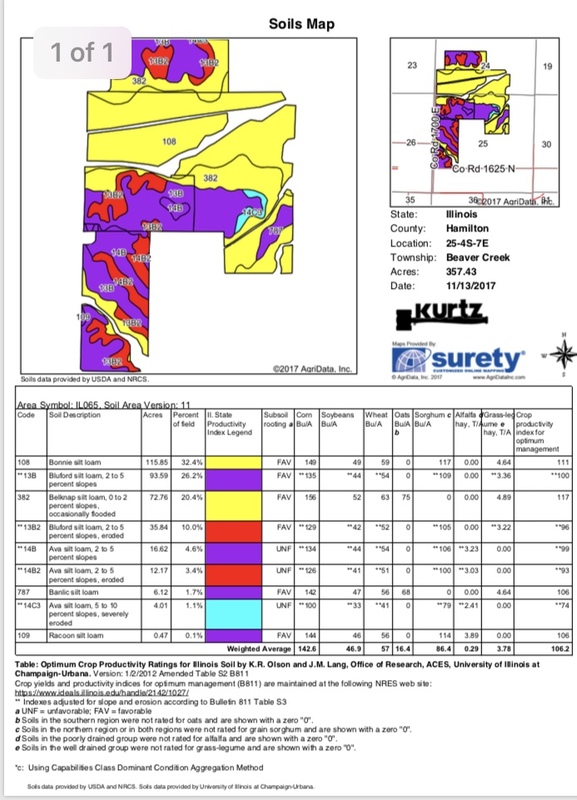 This tract is located on the corner of CR 1625N and CR 1700 E. The predominate soil types are Bonnie Silt Loam, Bluford Silt Loam and Belknap Silt Loam. There are two grain bins located on site. 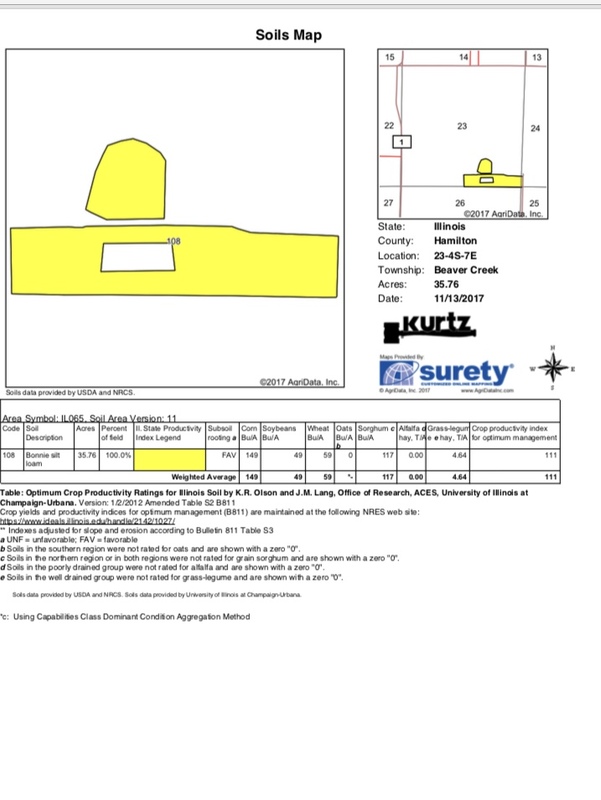 The property has approximately 6,700’ of frontage on CR 1700E and 1,350 feet of frontage on CR 1625N. 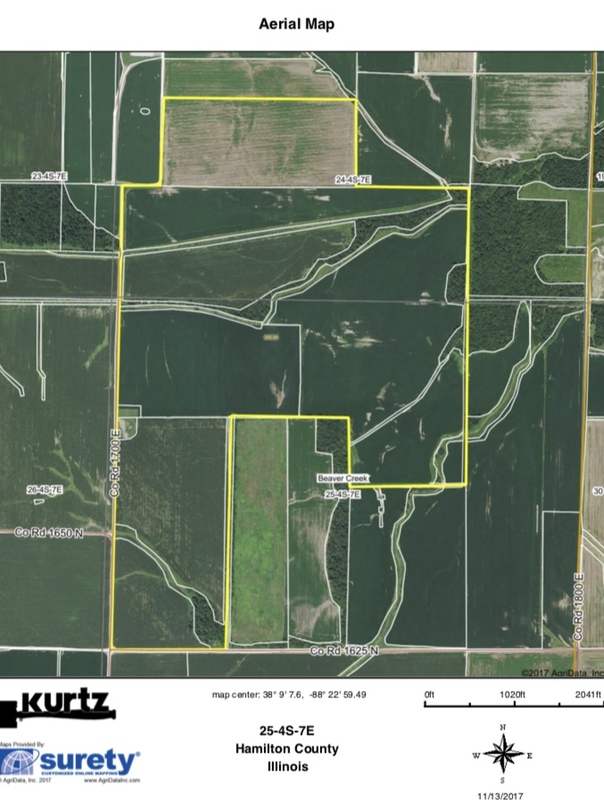 Tract 2 contains 60 deeded acres with approximately 35.76 tillable acres and 21 wooded acres. The predominate soil type is Bonnie Silt Loam. This property has approximately 1,700 feet of frontage on CR 1700 E.
Tract 3 contains 40 deeded acres with about 36 tillable acres. The predominate soil types are Bluford and Ava Silt Loams. This property has approximately 1,300 feet of frontage on HWY 1 and CR 1625N. For more information call Jason Blue at 812-452-3191. Tract #1 is located at the intersection of CR1625N and CR1700E, Hamilton County, Illinois.